Tesla unveiled a beautiful rendition of its solar roofs Friday evening. They're practically indistinguishable from an ordinary roof, but the shingles absorb sunlight to generate electricity for your home and car. 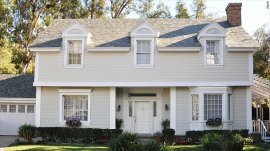 The shingles are part of an all-in-one energy solution for home owners. Tesla is in the process of buying SolarCity, which makes and installs solar panels, as it broadens its offerings and becomes a sustainable energy company. While experts see the concept as exciting, they have questions about the costs, performance and reliability of solar roofs. "It's been a tough field to enter into with essentially no success stories, " said David Fenning, a University of California-San Diego professor and solar researcher. "The challenge with solar comes down to cost. You want to be squeezing out every .1% in efficiency." An example of how the solar shingles would look installed. "I don't know a single case where it has been done well, " Musk said. "Every one I've seen is worse than a normal roof without exception." A small difference in the effectiveness of one single solar panel can add up to millions of dollars once a company is operating at a large scale. A tiny variation in two competing panels can be the difference between success and failure. Tesla's solar shingles appear disadvantaged in this battle for efficiency. The shingles have color added so that they don't look like solar panels from street level. This gives the shingles the appealing look of a traditional roof. But the tinting also blocks the absorption of light from certain angles, making them less efficient. This could be especially problematic on cloudy or humid days when light rays bounce off cloud cover and other objects, rather than making a beeline from the sun to the shingles. Another challenge with a solar roof is that roofs are generally not angled to best absorb sunlight. When companies add solar panels on top of roofs, they direct the panels so that they're best positioned to take in sunlight. "The vision is really cool, " Fenning said. "But it all comes down to cost." 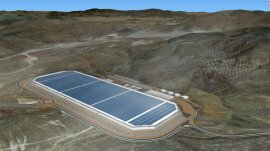 Tesla hasn't revealed yet how much it will cost to own and operate the system, or how efficient the solar panels will be. The idea is to use the panels on residential buildings. To some, solar roofs are an ingenuous way to kill two birds with one shingle. Installation costs should fall. Rather than pay someone to install your roof, and someone else to install solar panels, the tasks can be combined. "Definitely this is an innovation, " said Shashank Priya, a Virginia Tech professor researches energy harvesting. Of course, if you already have a suitable roof this won't benefit you. But if your roof is aging and you're interested in solar panels, it is a perk. 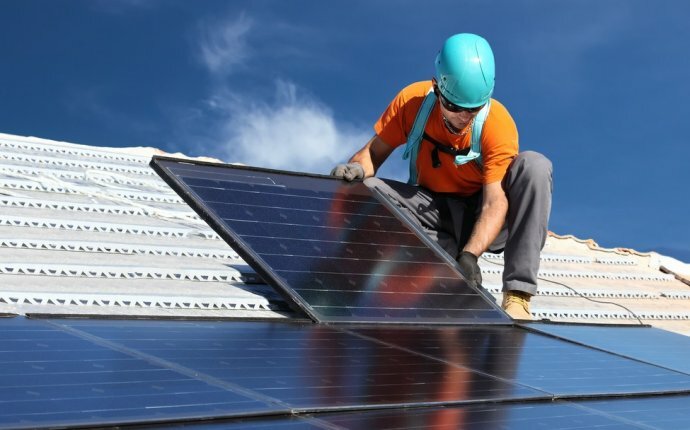 "You're potentially putting solar panels over a roof system that's seen its better days, " said Dean Jagusch, the president of the Mid Atlantic Roofing Contractors Association. "By installing a completely integrated roof product that not only weather proofs the building but produces electricity, it's a very smart way to go."